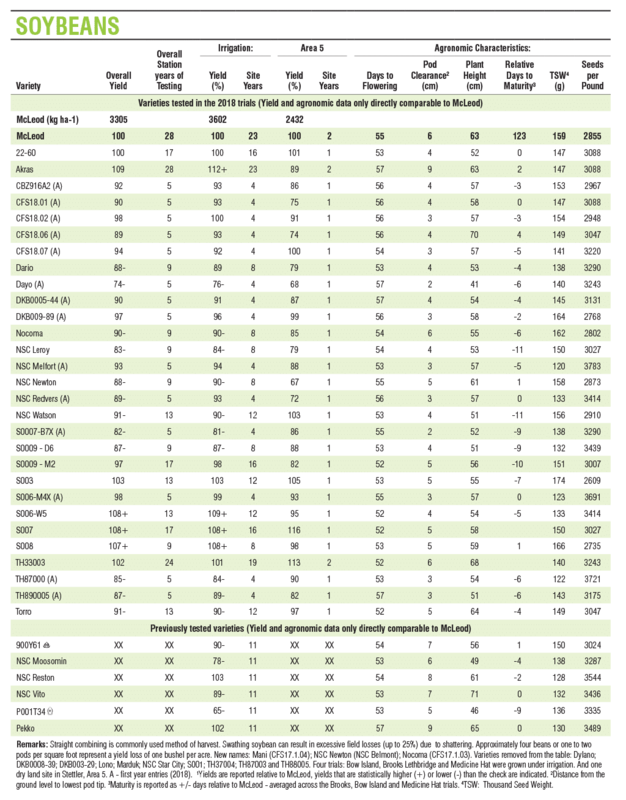 This publication provides information on pulse variety performance within Alberta and northeastern British Columbia. 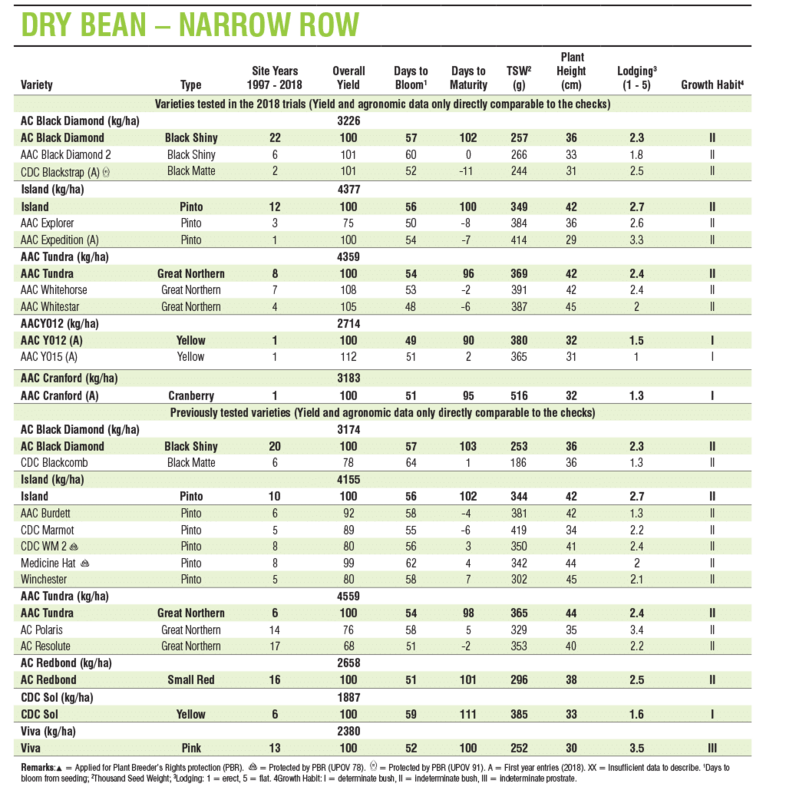 Important agronomic characteristics and disease resistance information is provided for varieties of field pea, chickpea, lentil, fababean, dry bean and soybean. 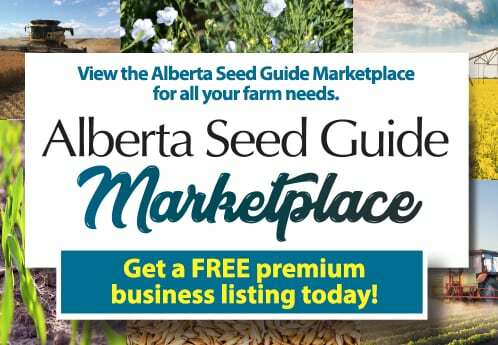 The Alberta Regional Variety Testing program for pulse crops is coordinated by Alberta Pulse Growers Commission (APGC) and Alberta Agriculture and Forestry (AAF). Funding for the program is provided by Agriculture Agri-Food Canada (Growing Forward II), AAF, APGC and entry fees (private companies) for the varieties being tested. Data for this publication are contributed by numerous applied research associations, Prairie Grain Development Committee and AAF. 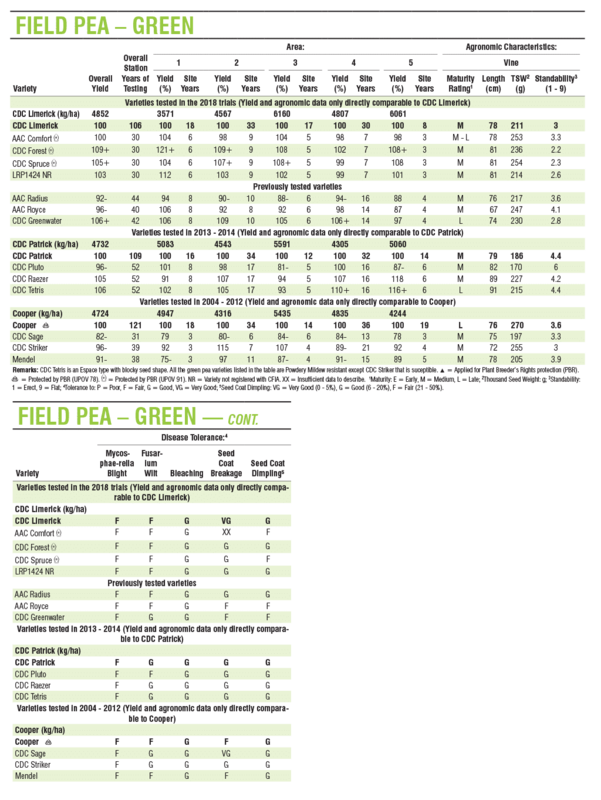 Overall actual yield of the standard check (kg/ha) based on all data available to the testing program is provided along with the number of station years of testing. 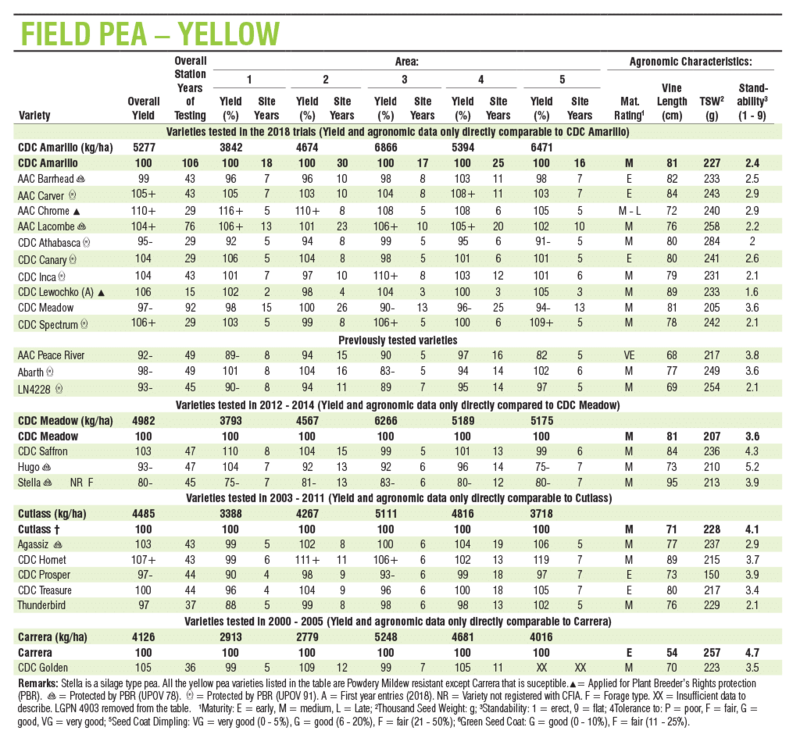 Actual yield of the standard check in each growing area for field pea is reported. Overage yield of each variety is expressed relative to the standard check. Significant statistical differences relative to the standard check are indicated. Yields that are statistically higher (+) or lower (-) than the check are indicated. No symbol after the yield figure indicates that there is no statistical difference from the check. 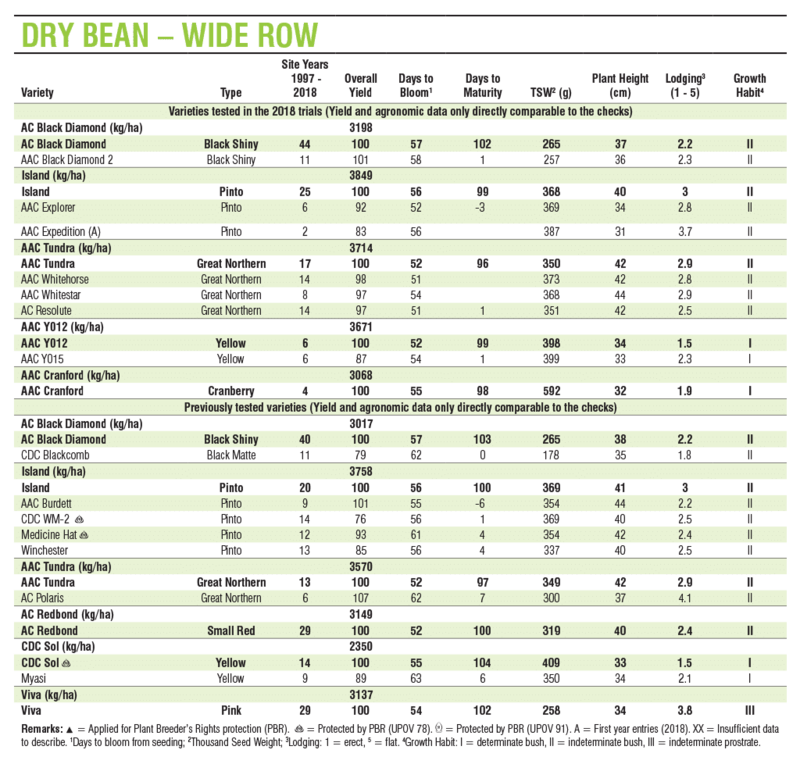 Pay particular attention to data on new varieties that have not been fully tested. If a large difference from the check is reported but is not significant, it could mean that yields have varied widely, and/or there are not enough data to prove a statistical difference. 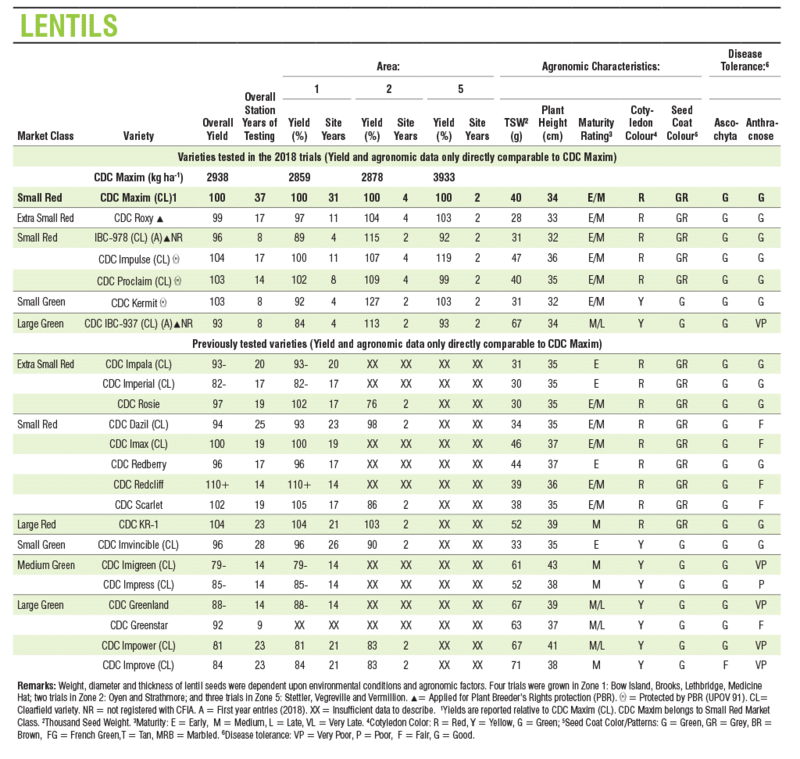 With additional years of testing, the reported yield differences will become more accurate. For additional information, including varieties not listed in this factsheet, please call Alberta Ag-Info Centre toll-free at 310-FARM (3276) or check the Alberta Agriculture and Rural Development website, Ropin’ the Web at www.agriculture.alberta.ca/rvt.